A crystal ball reading is a very simple thing. It is known as scrying. Scrying, which is also known as crystal seeing or crystal gazing or as getting a crystal reading, is a mystical practice that involves looking for visions in a stone. Crystal balls are usually clear and translucent, but they can also come in many different colors. Some people are more comfortable reading a crystal ball that is black, dark blue, or another color. Some psychics reading a crystal ball also prefer to use pink ones made out of orange quartz because that type of crystal symbolizes love. If the medium is a crystal ball, the visions may come from the tiny inclusions, seems or cracks. They can also be found in the cloudy glow within the ball under low light. One can even scry in the snow or ice if the sunlight is hitting it a certain way. Scrying does not have to be done with just crystals. It can also be done with all kinds of different stones, glass, mirrors, water, fire, wine or smoke. Scrying has been used in many cultures as a means of divining the past, present, or future. There are many references to a crystal ball reading room through out history. A crystal cave reading used to be popular in natural rock formations where the psychic energy was conducted naturally through the geodes. One old myth about scrying tradition was that young women, gazing into a mirror in a darkened room could catch a glimpse of their future husband's face in the mirror. If it were their destiny to die before they were betrothed, they would see a human skull. The information from reading a crystal ball can be said to come from a number of different sources. Depending on the culture and practice, the visions that come when one stares into the crystal are thought to come from God, spirits, the psychic mind, the devil, or the subconscious. Some believe that the energies come from the angels, the higher self, or God. Although scrying is most commonly done with a crystal ball, you can also use any smooth surface, such as a bowl of wear, a pond, a crystal, or even the polished surface of a human thumbnail. However, like other aspects of divination and parapsychology, it is not supported by mainstream science as a method of predicting the future, diagnosing ailments, or ghost busting. Today I will shine light a candle that not only lights the darkness, but also brings joy and laughter to all who share my light. I am the light to everyone in my life. We all cam be the light if we choose to be! This quote reminds me to have a sense of humor, and to look for the humor and laughter in life! By the way, Sylvia IS a Certified Psychic. She is the one who told me, in one of her books, that being tactful and kind is important if you are a psychic. And Sylvia told us that you can ask a psychic for their Business License, so that you can be more assured not to be taken for a ride by an uncertified charleton. AND all of the qualities that I look for in a truely helpful psychic are inspired by my favorite psychic, Sylvia Browne herself. Some psychics get straight to the point, and it is up to you to ask specific questions to elaborate, on what you want to know about the situation. They can not tell you what you want to know. Only YOU are in control of what you want to ask. Any Good psychic that's worth going back to, gives you information tactfully, diplomatically, and leaves you feeling peaceful afterward. If a psychic leaves you with a feeling of dread and uneasyness, then don't worry too much, take it with a grain of salt, and after the future incident becomes present tense, realize how that psychic could have told you without scareing the poop out of you. Then don't go back to that psychic that words messages poorly. Some psychics are poor communicators, and don't know enough about life to give sound advice. When looking for a GOOD PSYCHIC, the good psychic needs to encompass, 1. leaving thier client information to help fix a problem, 2. leaving you feeling able to do something about it 3. Leaving you feeling settled and never in fear. As a client you have the right to ask the psychic to show you their CERTIFIED BUSINESS LICENSE. Then even after that, you can judge for yourself. If they are cruelly blurting out information that upsets you, then the psychic is not really helping you. They are just proving to themselves that for their own ego. A good psychic needs to get to the root of helping you in the most kindest manner. Even psychics are humans who need to learn manners, and tactfullness. Remember: If you have a feeling of peace and rest after a reading, then you have a good psychic. What does my future hold for me..
Sylvia, have you ever done this? Has anyone done a reading for you? I hear a lot about Tarot card readings also. When I was 11 years old my Mom went for a reading from a fortune teller. She told my Mom that a family member was in great danger and there was an impending doom, and excused my Mom from the reading. Shook my Mom up so much, she came right home. Just as she arrived and walked up the porch of the house she saw me, and saw that I had been crying and she knew something was wrong. She immediately asked me if Grandma was all right. At the time Mom and I lived with her Mom and Step-Dad, my Grandpa. We had just gotten news that Mom's sister's husband was hit by a car while he was crossing the street to go to his furniture store to check on orders for the next morning. This all happened about 5 pm. I had been in the theater with a girlfriend, and had a sudden feeling that something was wrong at home and I needed to leave. My friend said but the movie is not over, and I acknowledged, but said I had to get home I was needed. So, out we went. The walk took about 15 minutes. Soon as I came up the porch of the house, Grandma was standing at the door crying, and I knew something was wrong. She broke the news to me and I was devastated. She asked why I came home so early from the movies. I told her, I don't know, I just had this bad feeling something was wrong, and was needed and decided to come home. She said, I am glad you are here Will you watch the kids for us while I go to the Hospital with Pete (who was my Mom's sister's nickname)cause Uncle Gordon is not doing well. I said I would stay with my cousins they were 4 and 8 at the time. But before Grandma left, my Mom came home, and Grandma asked her the same question, "Why are you home so early from work?" Mom said, earlier this afternoon I saw a fortune teller and she gave me the news. I had to finish payrool at work but felt a sudden need to come home, I can't explain it." It was a rare and pivotal point in my life. I learned at a young age to trust my intuitions, cause you never know. Mom had never seen a fortune teller before and was shaken by the event. As it turned out Uncle Gordon did die, not so much from the injuries but from the "shock" as doctors explained to my Aunt and Grandma. This happened in Ohio back in 1958, long before cell phones, and computers. Instinct, an inner voice, called to me that day and I have never forgotten. But because of the trauma of it all, I have never seen a fortunte teller, or had a reading of any type because I am afraid of receiving bad news. One must be careful when stepping into the mystical world. Sometimes we are meant to know things and sometimes we aren't. But you must decide if you can handle whatever they may tell you. I believe the woman was a true seer or medium. Mom said she was visibly shaken too, and said she does not like to relay bad things, but felt Mom was indeed needed at home for various reasons and cut the reading short and told her to go home. My Mom did not drive at that time, and she had to depend on a friend to get her from the fortune teller, back to her work, and then to home. Somehow, though, she made it in the nick of time to be with me and my two cousins who were about to lose their Father. It was a very sad time and marked my life. I got so angry that my uncle died I questioned my faith in God. It took me awhile to understand how things worked in the universe and we do not have control, and God decides what will be sometimes, and we have to accept what he chooses and make the best of it. But you cannot lose faith. It is not for us to determine all that happens in life, only things that we have control over. Make decisions for ourselves and follow our own path, but we cannot question what comes our way that is not of our choosing. 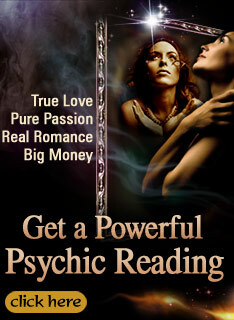 So, those out there wondering about crystal ball readings, tarot card readings, or any other type readings from a fortune teller, be very careful because they may not always tell you that you are coming into money or a secret man is waiting to meet you! It could be opposite of what you expect. I would like this message to go to Sylvia Browne. I would love to know what she would have to say about this. Maybe you can pass it on. Readings using a crystal ball are one thing... My question is, how does one read the crystal ball itself?